The period ratio is P1 / P0 = 0.7425. 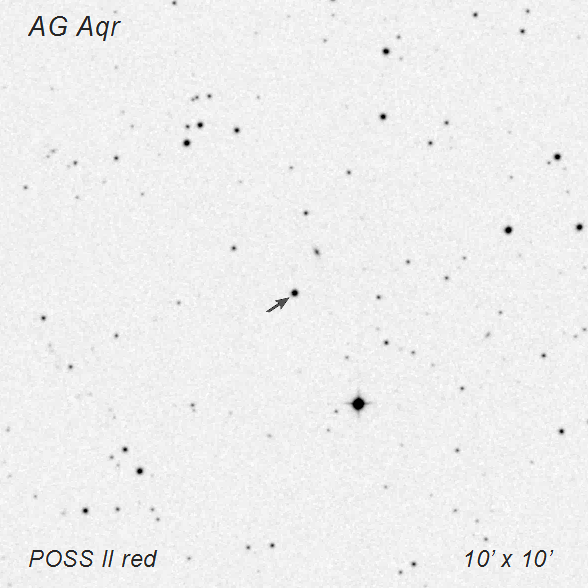 J–K = 0.634 (2MASS), B–V = 0.298 (The AAVSO Photometric All-Sky Survey, hereafter APASS). The period ratio is P1 / P0 = 0.7443. J–K = 0.306 (2MASS), B–V = 0.426 (APASS). The period ratio is P1 / P0 = 0.7748. J–K = 0.142 (2MASS), B–V = 0.528 (APASS). The period ratio is P1 / P0 = 0.7617. The period is unusually long period for this type. J–K = 0.237 (2MASS). B–V = 0.233 (APASS). 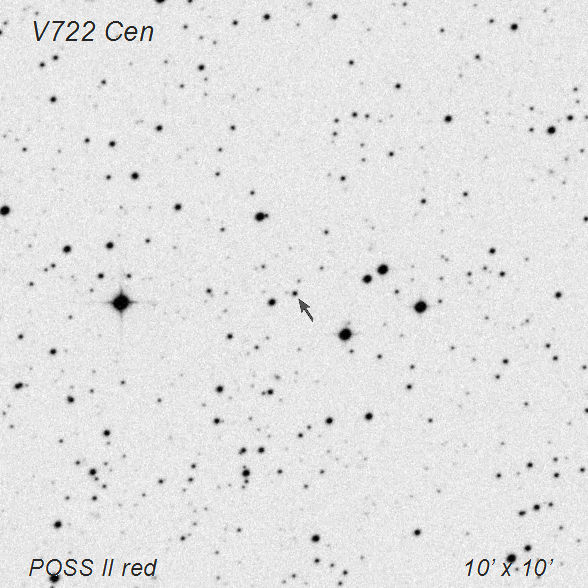 We present a new investigation of four variable stars. 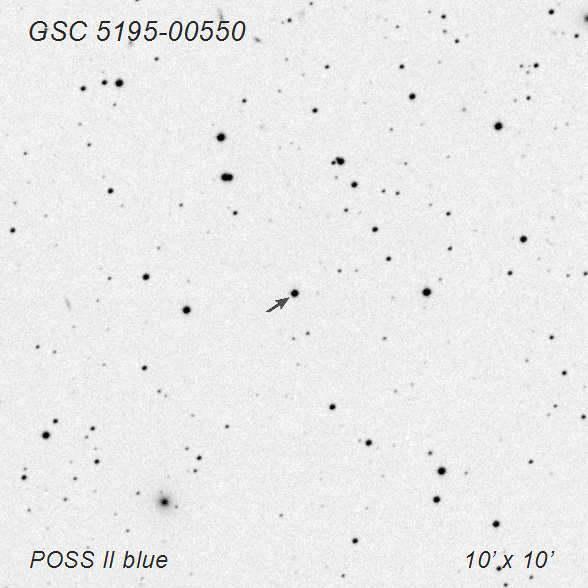 We analyzed all observations available for these stars in the Catalina Surveys (Drake et al. 2009) online public archives using the period-search software developed by Dr. V.P. Goranskij for Windows environment and Period04 code (Lenz and Breger 2005). 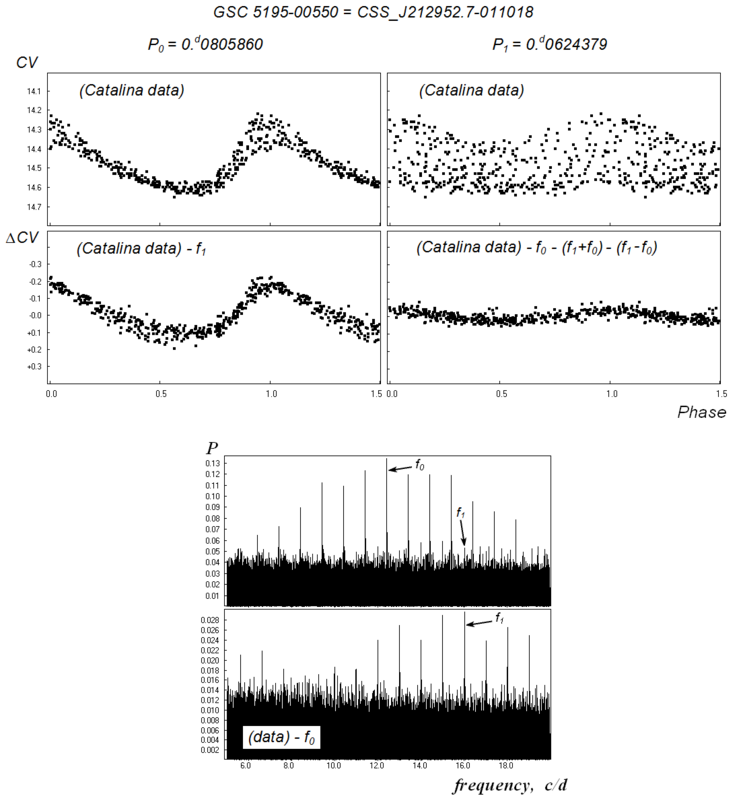 According to these data, the variables are double-mode variables (RR Lyrae and High-Amplitude Delta Scuti stars), pulsating in the first-overtone and fundamental modes. 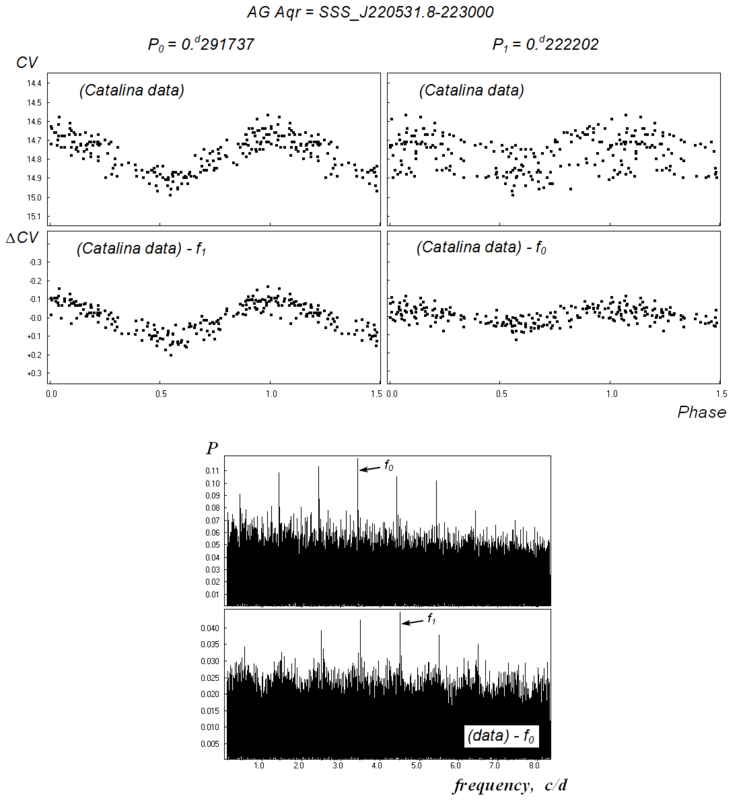 Their period ratios, P1 / P0, are typical of radially pulsating double-mode RR Lyrae and HADS stars. 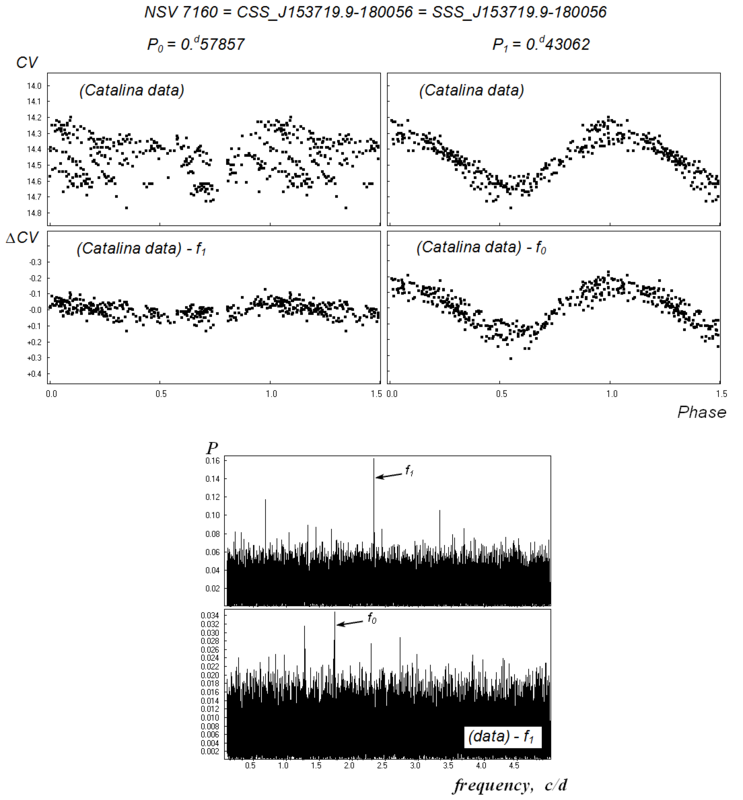 Along with the light curves, we present power spectra of the variables, for the raw data and after subtraction of the first-overtone oscillations. The structure of the power spectra shows that the secondary periods are real. 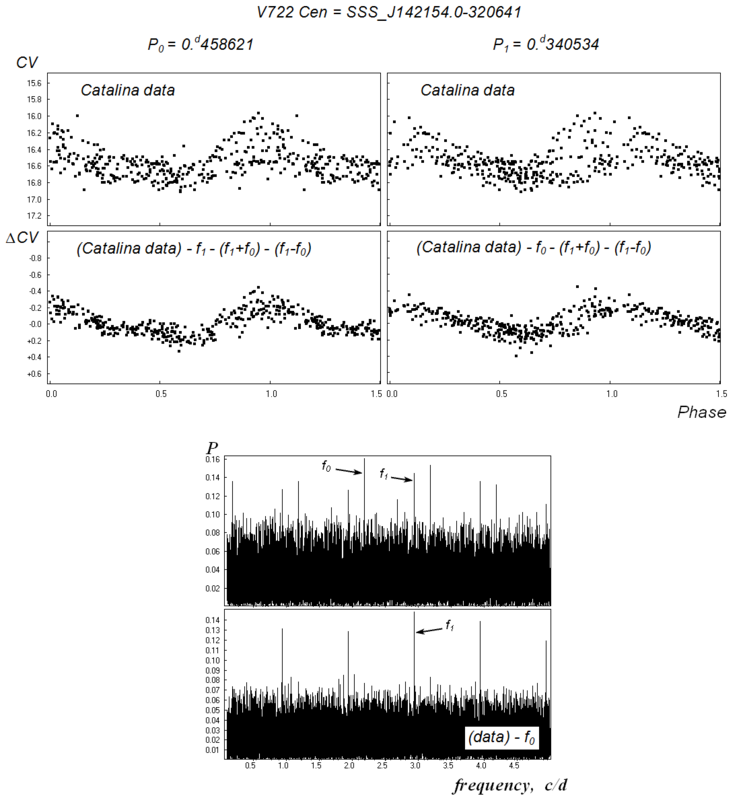 The tabulated coordinates of the variables were drawn either from the 2MASS catalog (Skrutskie et al. 2006) or from the GCVS (Samus et al. 2007–2012). Acknowledgements: The authors wish to thank Dr. V.P. Goranskij for providing his software. The CSS survey is funded by the National Aeronautics and Space Administration under Grant No. 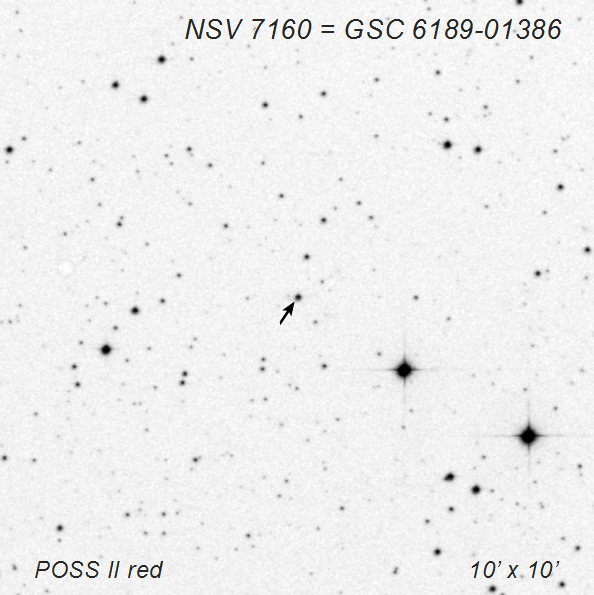 NNG05GF22G issued through the Science Mission Directorate Near-Earth Objects Observations Program. The CRTS survey is supported by the U.S.~National Science Foundation under grants AST-0909182.